Man lives in a state of imagination, in a dream: no one sees things as they are. To him who says to you: “What shall I do?” say to him “Do not do as you have always done; do not act as you have always acted” – from the Sufi epic Conference of the Birds. 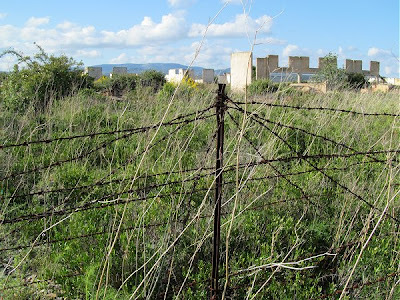 My photos show the remains of the Rivesaltes internment camp in Languedoc, France. 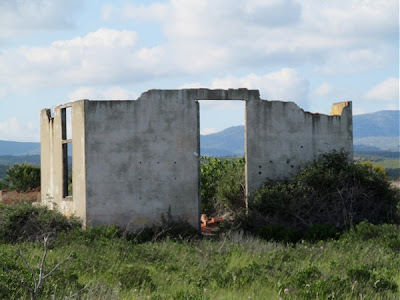 It was one of the notorious camps built by the French government in 1939 to house Spanish Republican refugees fleeing from Franco’s fascist forces. It is estimated that 15,000 of the Spanish refugees who crossed the border in La Retirada died in internment camps in Northern Catalonia, and another of these camps at Argelès-sur-Mer has featured here previously. 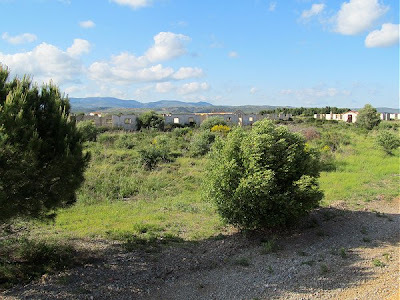 Rivesaltes achieved particular notoriety as the camp was used by the Vichy government to hold Jews and other so-called “undesirables” after the French surrendered to the Nazis in 1940. 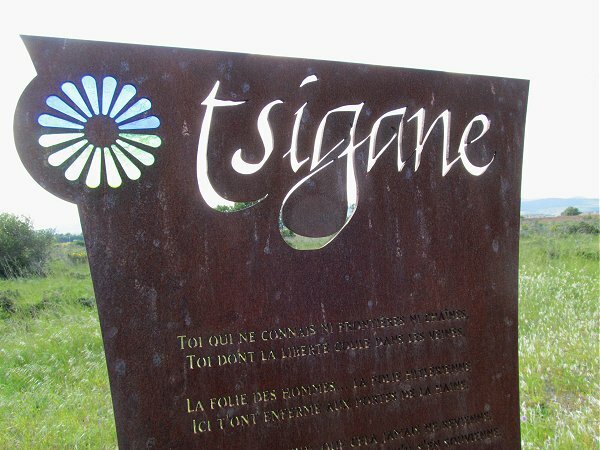 Despite being in the unoccupied zone more than 2250 Jews including 110 children were deported from the camp along L’Autoroute de Fait to their death in Auschwitz in a unilateral act of anti-Semitism by the Vichy regime. The terrible fate of the Jews in Rivesaltes is well documented, but the fate of others is not so well researched . This region of France has a rich Gypsy tradition and many Tsiganes (Gypsies) - the forgotten Holocaust victims - were also imprisoned in the camp, see memorial below. 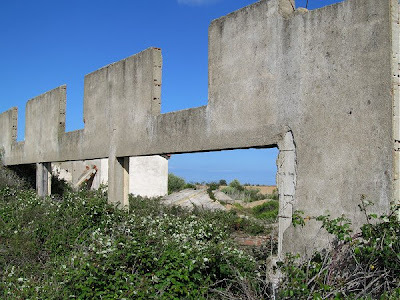 But the terrible history of Rivesaltes did not end there, it was used between 1954 and 1962 as a rest camp for the harkis, the Algerian volunteers who fought alongside the French to protect French interests in the Algerian War of Independence. After that the camp was used from 1987 to 2007 to house illegal immigrants who had fled from Algeria and elsewhere in post-colonial North Africa. Sites such as this are usually marked by a memorial, But Rivesaltes has no less than five memorials - see photo above. 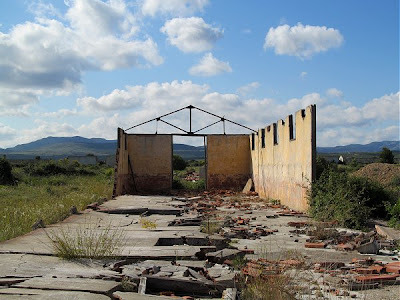 These mark the succession – do not do as you have always done - of humanitarian atrocities perpetrated by the French who have only recently started to come to terms with this black period in their recent history. The memorials are moving, but the ruins of the camp are far more eloquent. 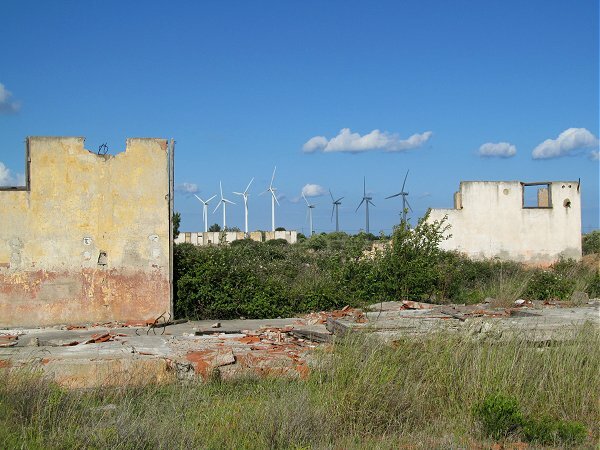 I vaulted some very ugly and rusty barbed-wire to take the accompanying photos. On a brilliant Spring day it was difficult to hold the camera still due to the force of the tramontaine wind roaring down from the mountains and across the coastal plain; in mid-winter life on this blasted heath must have been unbearable. Photos, words and music cannot adequately portray this monument to human folly. 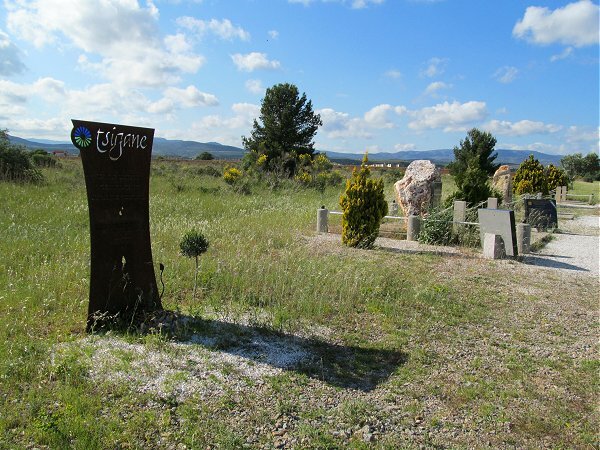 But as we drove away from Rivesaltes we listened to Cristobal de Morale’s Officium Defunctorum. Our chosen recording was the recently re-released CD by La Capella Reial de Catalunya directed by Jordi Savall, that great musician who is a native of Catalonia and has dedicated his life to reminding us not to do as we have always done. Also on Facebook and Twitter. All photos © On An Overgrown Path 2013. Any other copyrighted material on these pages is included as "fair use", for the purpose of study, review or critical analysis only, and will be removed at the request of copyright owner(s).